What I’ve been upto since my last Newsletter! 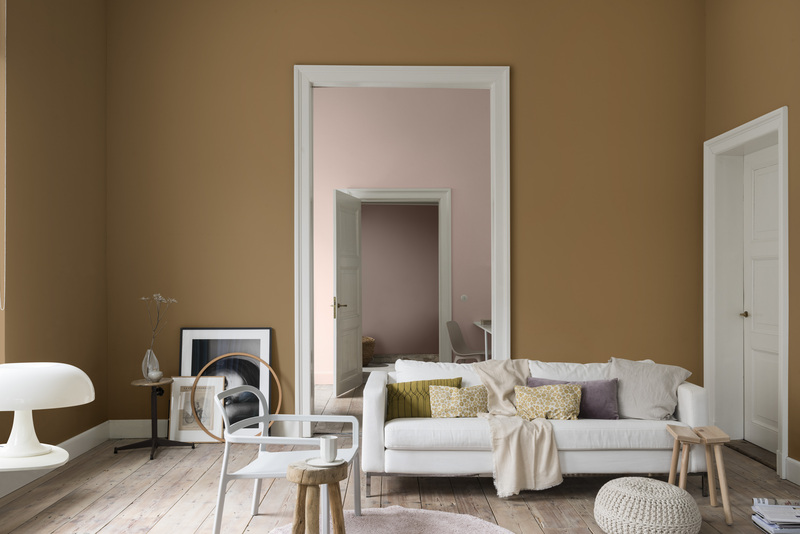 The Dulux Colour of the Year for 2019 has been announced, and I’m super proud to say that I was invited to join the Dulux team at its AkzoNobel Amsterdam HQ to divine the Colour of the Year for 2020! 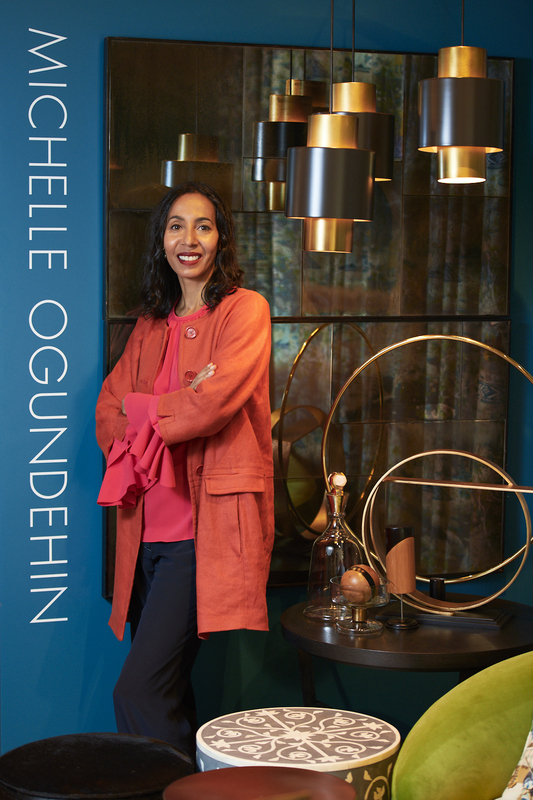 It means I got to go behind the scenes at ‘Paint Central’ and play a part in the science of turning trends into colour as they brought together tastemakers from all over the globe, with each of us asked to present our style predictions for our respective countries. Cue much discussion as we took all of this data and began the work of translating it into a single agreed colour, with global relevance, to best represent 2020. I am of course now bound to secrecy for a year! September saw the unveiling of my ‘Designer Interpretations’ installation at the Arteriors showroom at Chelsea Harbour Design Centre. Started by Arteriors founder Mark Moussa, this initiative invites an external creative to re-interpret the brand within a space in the showroom. It was a pleasure to do and a great team to work with. And you can get the inside track on my design here. Plus there’s also a short video of me talking about the project too… click link below. Portrait on set at Arteriors’ London showroom. September being the month of the London Design Festival, I was also busy curating and re-styling the new Calligaris showroom on London’s Tottenham Court Road ready for it to showcase new pieces from its latest collection. Taking a lead from some of these pieces, I rearranged the showroom as a series of living sets, grouped by colour and underpinned by texture and pattern, then liberally sprinkled the whole lot with accessories from the brand’s fabulous new CODE collection! You can read more here. 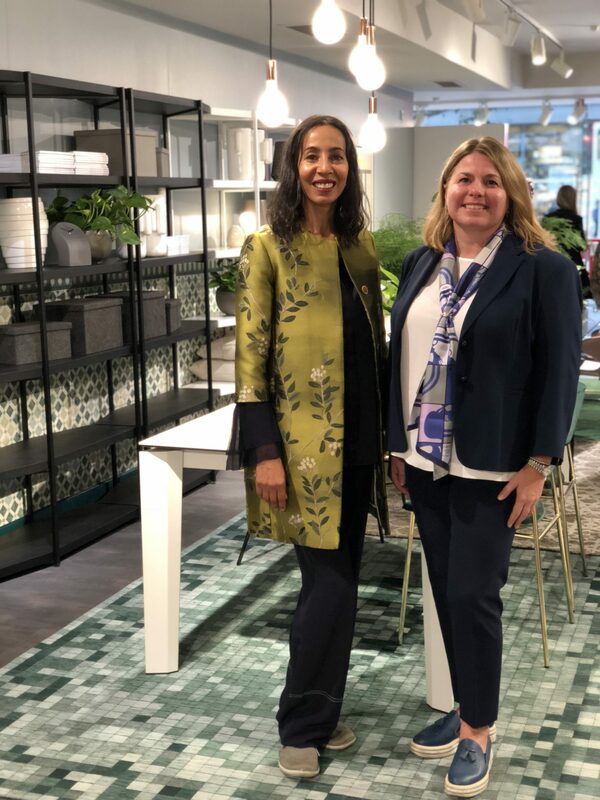 Michelle Ogundehin with Chiara Pessot, General Export Manager for Calligaris in the newly restyled and coloured showroom. I was also delighted to be asked to join the judging panel for the BORN Global awards. Founded eight years ago by Jean-Christophe Chopin these Awards were set up to “honour those creatives who have produced desirable and functional items with integrity that span multiple categories including fashion, technology, interiors, architecture, mobility and sport.” The overall winners will be announced on October 4th at London’s Design Museum. Other jury members included Deyan Sudjic, Director of the Design Museum; Nicole Junkermann of NJF Capital; Jean-Christophe Chopin founder of Born; Gerry McGovern, Chief Design Officer of Land Rover and Annalise Fard, Director of Home and Beauty at Harrods. Find out more about the awards here. Clearly it’s Awards season, as October 4th also sees the announcement of the winner of the Restaurant & Bar Design Awards for 2018. Now in its tenth year, this is the only awards of its kind dedicated entirely to food and drink spaces. Accordingly, there were a huge number of entries, and you can view the shortlist here. Asked to define excellence in design I said: “Design excellence is when something works so well that you don’t have to think about how to use it. It’s when something looks so good, yet you can’t put your finger on the individual component that makes it sing. And most of all, it’s when these two things combine to create something of great sophistication and simplicity.” I was delighted to be one of the judges for this too, especially as I was one of only four women on a voting panel of 45 people! 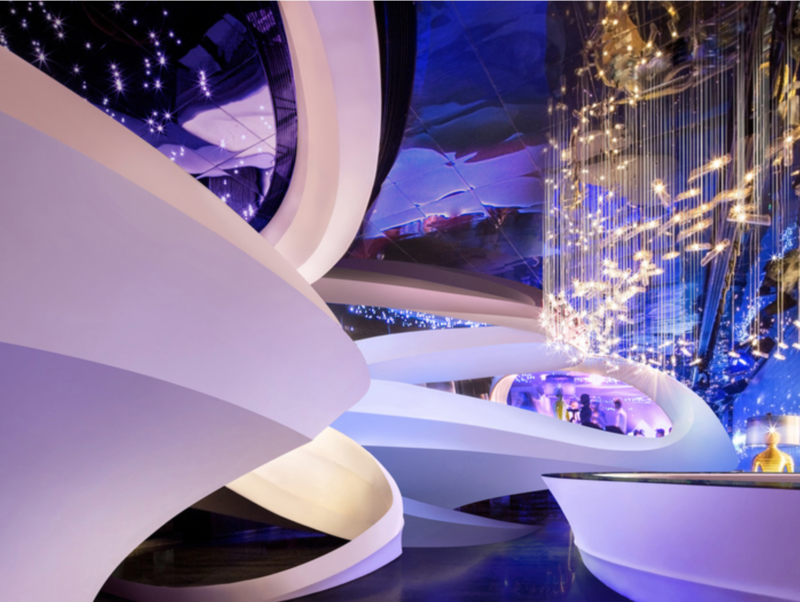 The X-club in Qingxiu, China designed by Republic Metropolis Architecture: One of my favourites from the Restaurant & Bar Design Awards shortlist, simply because it’s so utterly fantastical! A real escape from the everyday, which is surely one of the things great bars, clubs or restaurants can seek to be. 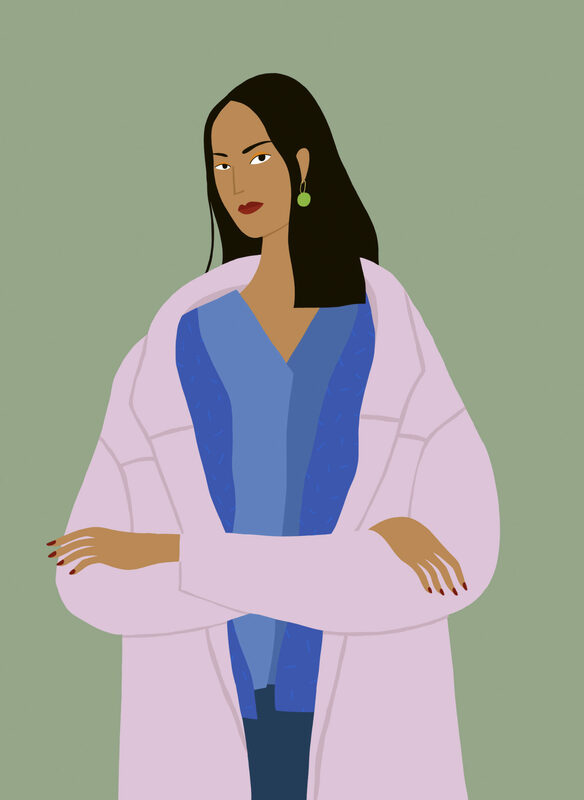 A while back, fashion journalist and author Alyson Walsh wrote a book called ‘Know Your Style: Mix It, Match It, Love It’ and it was illustrated by the very talented Ayumi Takahashi. Full of great style advice and interviews, Alyson was kind enough to include me in her book and I finally got round to tracking down Ayumi to order a print of the picture she did of me. I think she’s lent me a rather sophisticated, ever so slightly Oriental look, which I like, a lot! 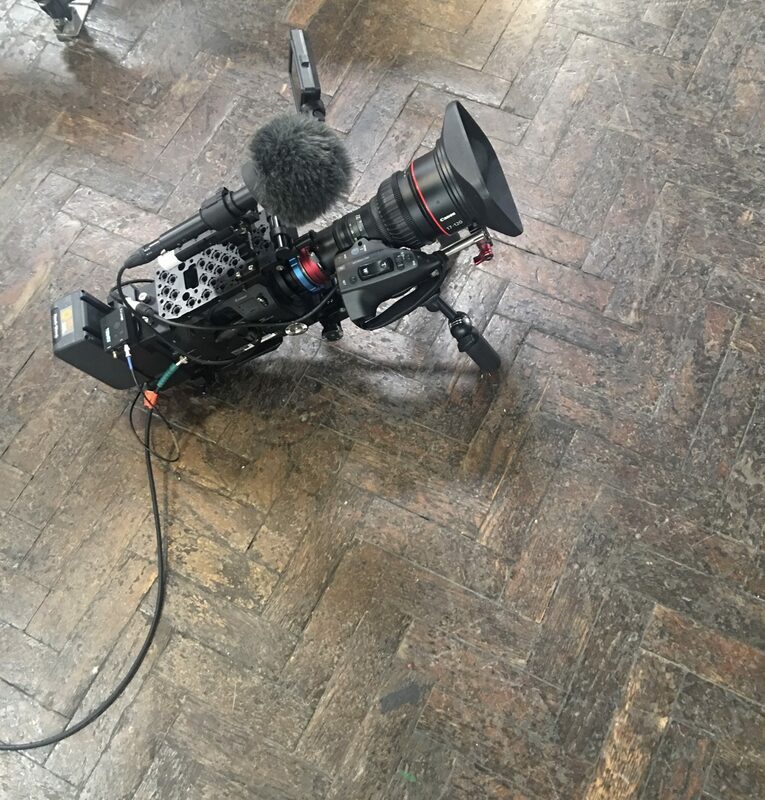 Filming started in May, and the final shoot was at the end of September, and so it is that my work for ‘Project Interiors‘ is now done! In case you’ve missed my previous newsletters, this is the new 8-part interior design series that I’ve been filming for BBC2/Netflix. Described as Project Runway meets The Apprentice for interior design, with me as the Series Judge, it’s a competition format show that sees me put 10 budding interior designers through a series of challenges designed to test them on all the various skills required to be a great interior designer. With a fantastic cast of characters and some amazing completed projects, I guarantee it’ll be superb TV. On screens next Spring! It’s a wrap! Last day of filming my new Interior Design series.